Jungkookie ♥. . HD Wallpaper and background images in the Jungkook (BTS) club tagged: photo bts bangtan boys jungkook kookie fortune. 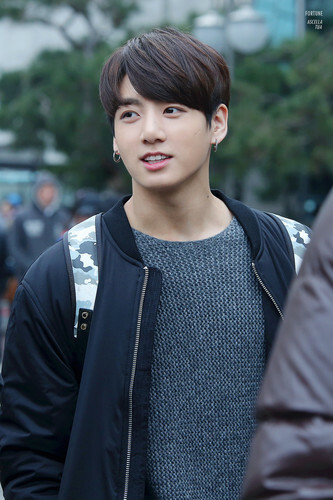 This Jungkook (BTS) photo might contain bovenkleding, overclothes, vrijetijdskleding, pullover, and slipover.